When you have Carolina on your mind, what comes to mind? Maybe the Outer banks or the western Mountain byways. 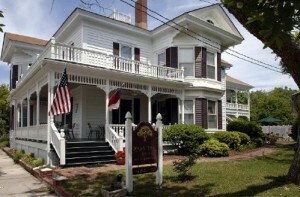 Or maybe a Beaufort North Carolina Inn for sale. On this blustery day in March I would like to think of the warmth of a late spring garden bursting forth. 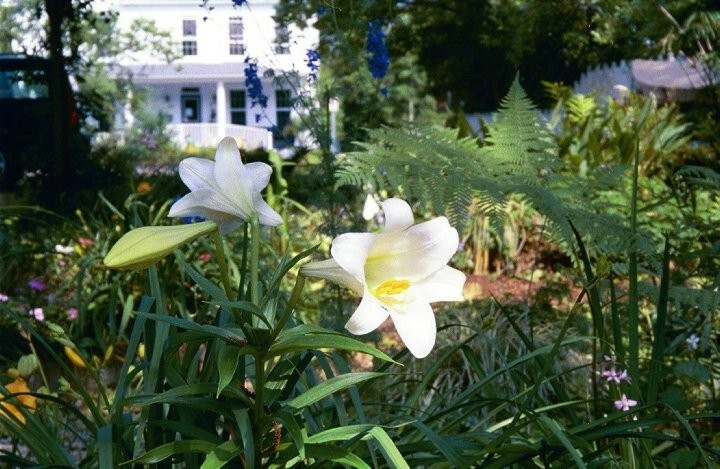 Visitors to Beaufort (pronounced Bo-fort, not Byoo-fort, like its South Carolina counterpart) can stay at the charming Pecan Tree Inn and experience one of the outstanding gardens on the North Carolina coast. Step off the Inn’s porch into a world of flowers, shrubs and herbs. Wander down stone paths through collections of bulbs and perennials wild with color. Gardeners say southern sunshine grows everything better! I am so ready for this kind of experience. 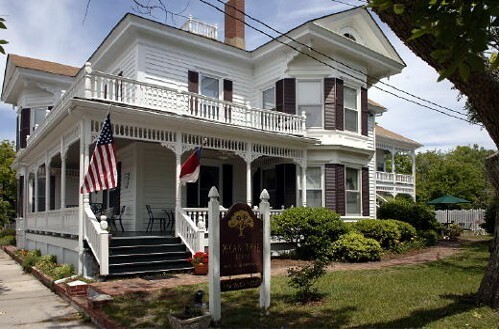 The Pecan Tree Inn is a Beaufort North Carolina Inn with its’ own unique history. It was built as a Masonic Lodge in 1866. Later it became a private residence and the three southern style Victorian porches were added. What would a southern home be without porches! Modern conveniences like gas lighting, indoor plumbing and a telephone completed the conversion of the once commercial building into a home. In 1992 the well cared for and loved home became an inn. Current innkeepers expanded the gardens to make this Beaufort North Carolina Inn a beautiful southern oasis for guests to experience. As in any destination location like Beaufort there is so much to experience. 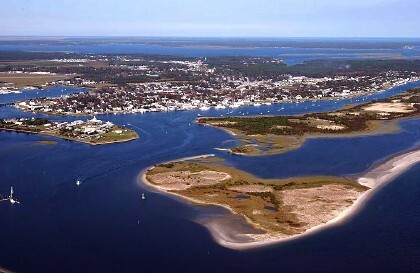 There is Cape Lookout National Seashore and its famous lighthouse. 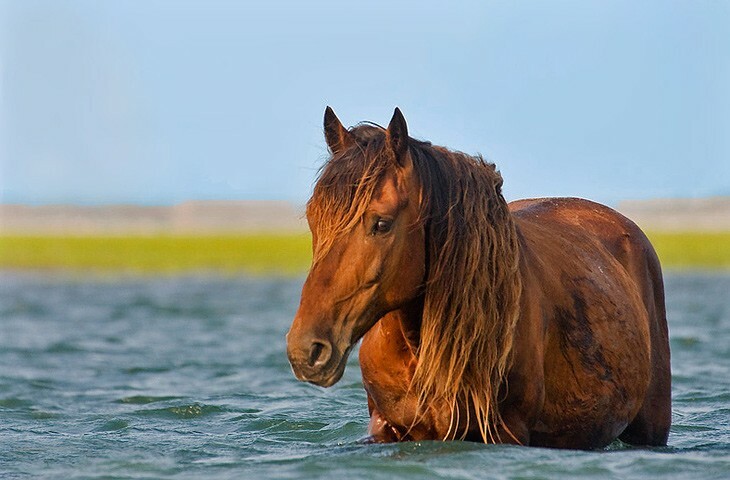 Shackleford Banks is the home of wild horses, the descendants of the Spanish mustangs that were ship wreaked in the area over 400 years ago. For history buffs there is the North Carolina Maritime Museum and the Old Burying Grounds. Nature lovers can experience these horses grazing on Rachael Carson Reserve. And then there are the dolphins swimming in Taylor’s Creek. Satisfaction for every guest. For those seeking a southern living lifestyle and financially viable bed and breakfast inn to purchase, then The Pecan Tree Inn is a wonderful choice. 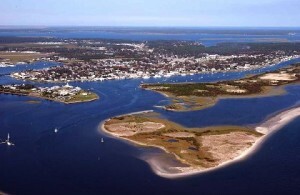 On February 1, 2012, Beaufort was ranked as “America’s Coolest Small Town” by readers of Budget Travel Magazine. 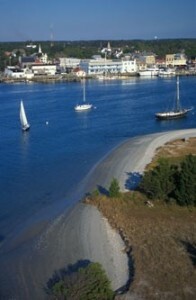 It was also ranked #8 by Travel & Leisure Magazine as a town for intelligent people. Can’t beat that! Maybe you will become smarter if you move there. Who knows. The B&B Team will be happy to help you move into the world of innkeeping and The Pecan Tree Inn may be just the right and intelligent move for you. This entry was posted on Thursday, March 27th, 2014 at 7:04 pm	and is filed under Inns for Sale. You can follow any responses to this entry through the RSS 2.0 feed. Both comments and pings are currently closed.